Research In Motion late Thursday said that the release of BlackBerry 10, the company's last-ditch effort to keep BlackBerry smartphones relevant, will be delayed until the first three months of 2013. 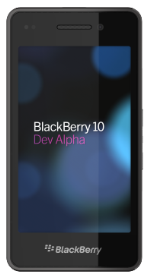 The company said getting BB10 ready for prime time is proving “more time consuming than anticipated.” RIM CEO Thorsten Heins added that he will not compromise on BB10 by delivering an inferior product. That's good news from a quality standpoint but, by the time BB10 is ready, will it be too late for RIM? Before the end of the year, Microsoft expects to roll out a highly-anticipated new update to Windows Phone with improved enterprise support (RIM's bread and butter), and Apple is expected to launch a new iPhone. Google is also generating a lot of excitement with its recently announced Jelly Bean refresh for Android. That's a lot of intense competition to lure BlackBerry users away from their physical keyboard-centric devices and into the shiny touchscreen world of iPhones, Lumias, and Nexus devices. RIM's news seems to keep getting worse. The company is laying off another 5000 people, it's losing money, revenue is shrinking, and the company's device shipments for an entire quarter amount to what Apple would consider a few bad weeks. Since March, RIM has shipped just 7.8 million smartphones and 260,000 PlayBook devices. Consider that Apple's most recent quarterly report claims that iPhone sales are topping 35 million and that iPad sales are reaching nearly 12 million. And Google recently reported that it is now activating about one million new Android devices every day. Be afraid BlackBerry fans, be very afraid. When BB10 finally emerges in early 2013, the smartphone competitive landscape will be radically different. First, RIM has just handed its closest competitors, the Windows Phone duo of Microsoft and Nokia, a massive advantage. Windows Phone 8, the next version of Microsoft's new smartphone platform, is expected to debut this year. Microsoft should have at least three months to lure users from BlackBerry with the new Windows Phone devices built for play and business. Windows Phone already ties into Microsoft Office. Now Microsoft is adding BitLocker Encryption, secure boot, device management, and a Company Hub so businesses can distribute their own apps and information to corporate devices. Even Window Phone's app store is beating RIM. Microsoft recently claimed the Windows Phone Store passed the 100,000 app mark. RIM is a little bit behind that with about 89,000 apps available on BlackBerry App World. If Microsoft doesn't take a big chunk out of RIM, a new iPhone will. No one knows for sure what Apple's next smartphone will include, but we do know that lots of interesting features are headed to iOS 6, including a new Maps feature; system-wide Facebook support; enhanced Siri features; improvements to Mail and calling; and, finally, Passbook for travel documents, movie tickers, loyalty cards, and coupons. Apple has yet to announce a new iPhone, but most critics expect the company to deliver a new device before the end of the year. Finally, RIM must compete against newly refreshed Android. Google's new Jelly Bean OS update includes a Siri-like feature called Google Now, improved notifications, new camera enhancements, and offline voice typing. Google has yet to announce a new Jelly Bean-flavored Nexus smartphone with a manufacturing partner, but it did recently announce its first Nexus tablet, which will ship in July. Can RIM remain in the game with so many new features and devices coming from three of the biggest technology companies battling it out in the smartphone space? Perhaps. RIM has a dedicated fan base of about 78-million BlackBerry subscribers, and a number of those users may wait to see what the company will offer with BlackBerry 10. But it's a long time until early 2013, and RIM's management is under pressure to look at options such as dumping BB10 for Windows Phone 8 or selling off the company's proprietary network that supports BlackBerry services worldwide, according to Reuters. RIM might be able to hang on, but with a six- to nine-month delay until the release of BB10, the company's chances for a comeback are getting slimmer.